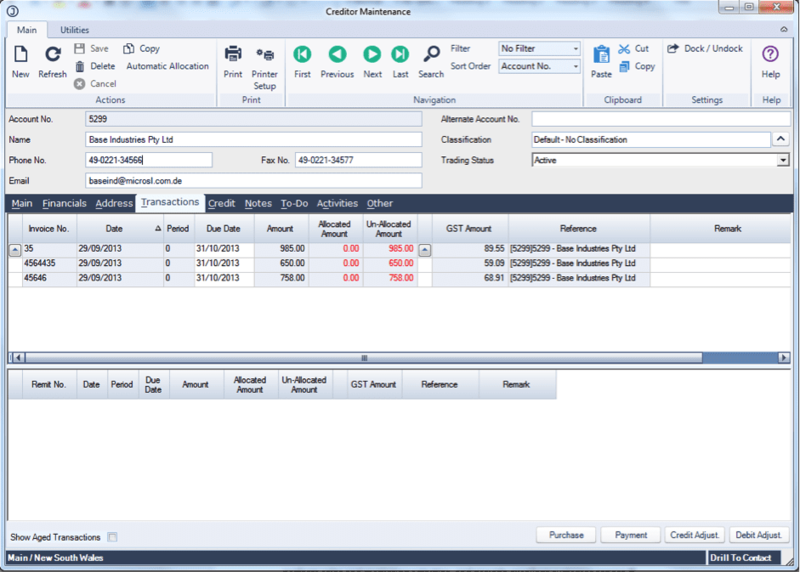 Maintain detailed accounting records for one or more companies, as well as control entries from all subsidiary ledgers. Access accurate and comprehensive information and evaluate past and present performance, and plan for the future. What else can I do with General Ledger? Allocate funds faster and more accurately. Everything you need – quotes, sales orders and invoices, order acknowledgements, picking slips and delivery notes – in one module. Delivery options include multiple delivery addresses, drop shipments, forward orders, back orders, recording of lost sales, credit policies and picking options. What can I do with the Jiwa Sales module? A few clicks and you’re done. 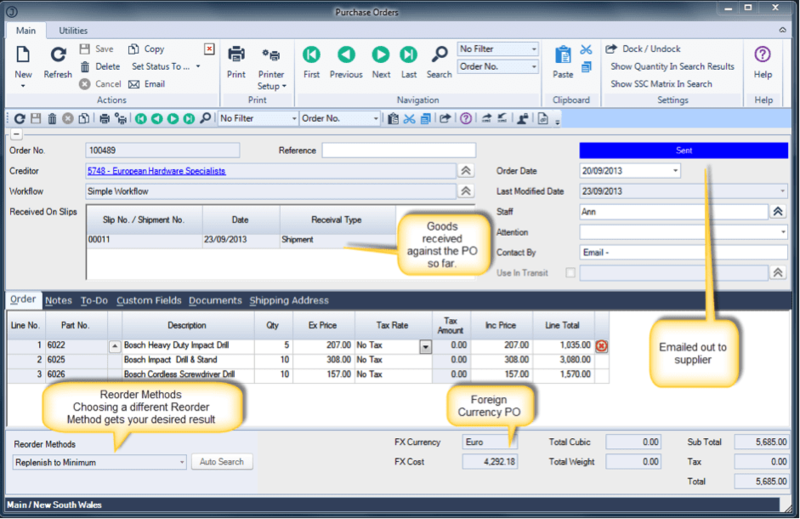 From purchase order to goods received note to invoice, Jiwa flexibility is key to just-in-time stock levels. 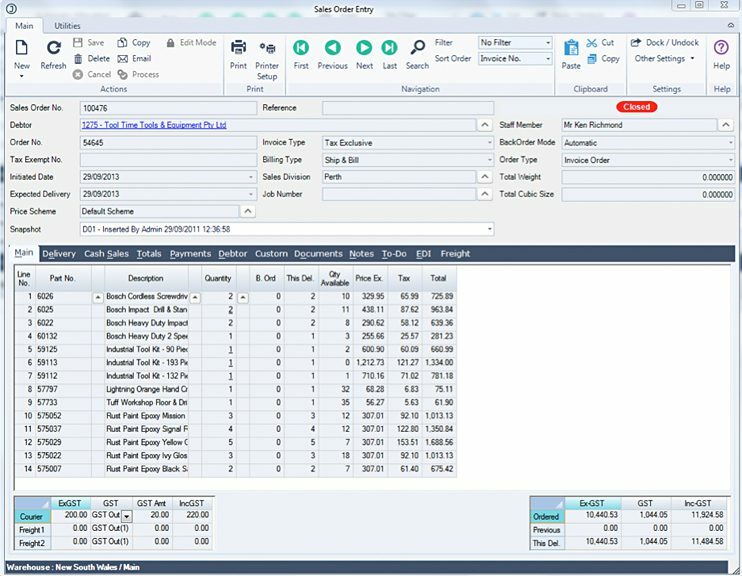 Jiwa ships with several Purchase Order algorithms, and users and their solution providers can create PO formulas that match your own inventory purchase requirements. 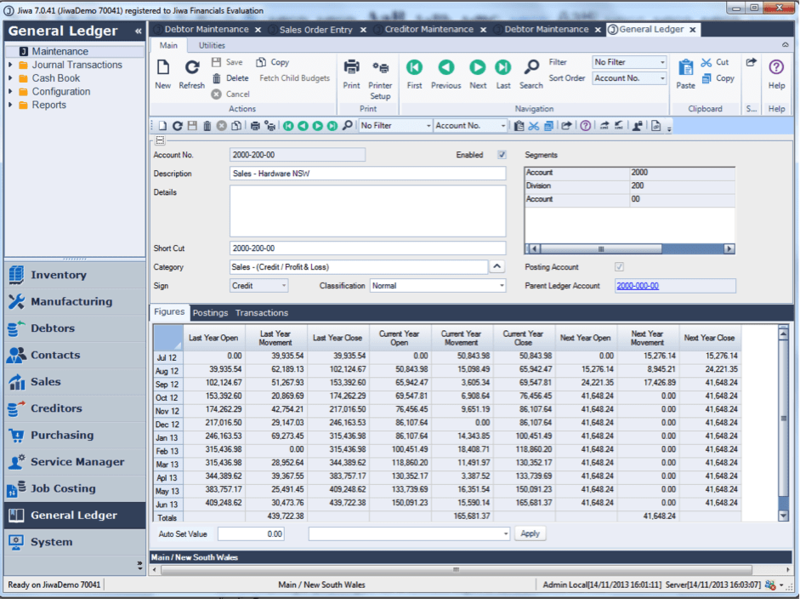 Fully integrated with Jiwa Financials. Provide improved, consistent customer service with better data from Jiwa Debtors. Process receivables, maintain open items, determine credit relationships, and perform sales and marketing activities – through one module. With better detail, which is easily accessible, employees are empowered to answer customer queries quickly and accurately, with full drill-down to source data. What else can I do with Jiwa Debtors? Process invoices and payments more efficiently, and access detailed supplier information, with Jiwa Creditors. Employees and management call drill down right to the source data. Supports electronic funds transfer (EFT) for creditor payments; supports the Australian Bankers Association (ABA) file format. What can I do with Jiwa Creditors? 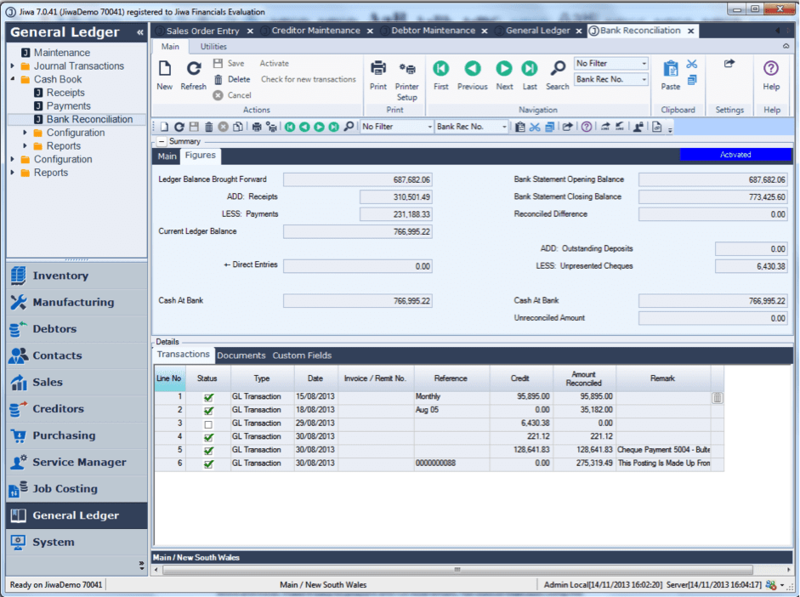 View all transactions and items that relate to each payment in the creditor’s ledger. 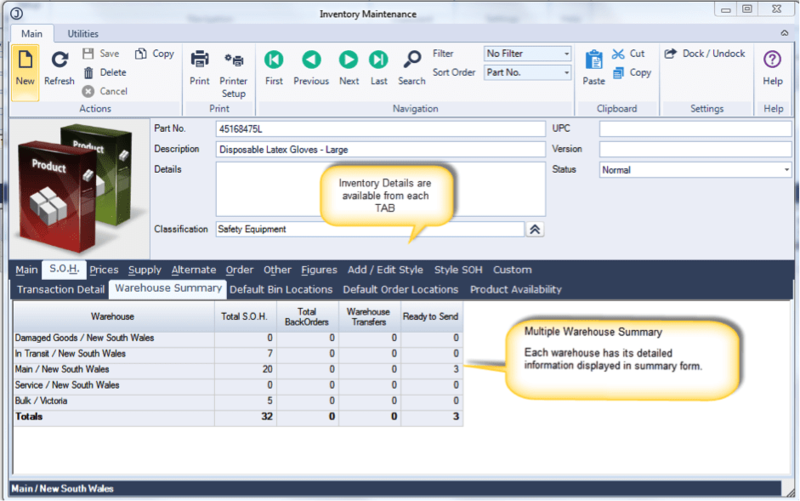 Get the power of robust inventory management with Jiwa Financials. You’ll appreciate the efficient work flows and excellent controls that Inventory Control gives you. Warehouse Transfer Out/Transfer In to manage in-transit transfers. Set up company details and unlimited contacts for a company even if it isn’t a customer or a supplier. If the company eventually converts to a customer or supplier, all details are automatically transferred and converted into either a customer or supplier record. What can I do with Jiwa CRM? Group or classify a ‘contact’ company for sales, marketing and administration. Take advantage of integration with Microsoft Word and Excel. 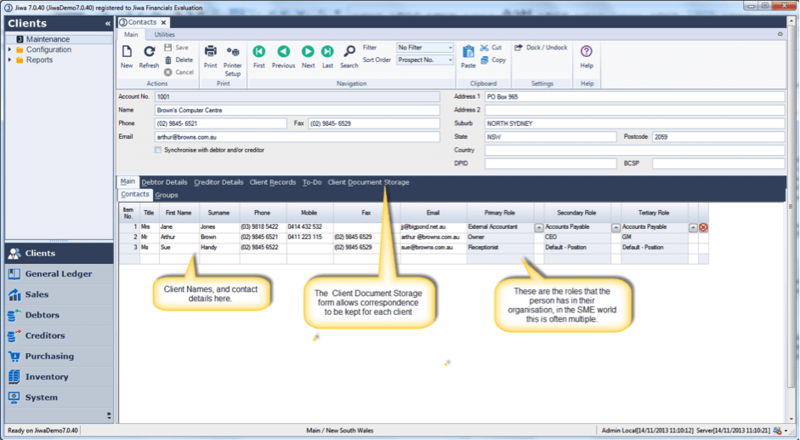 Prepare and run bulk emails, fax-outs or mail-outs. 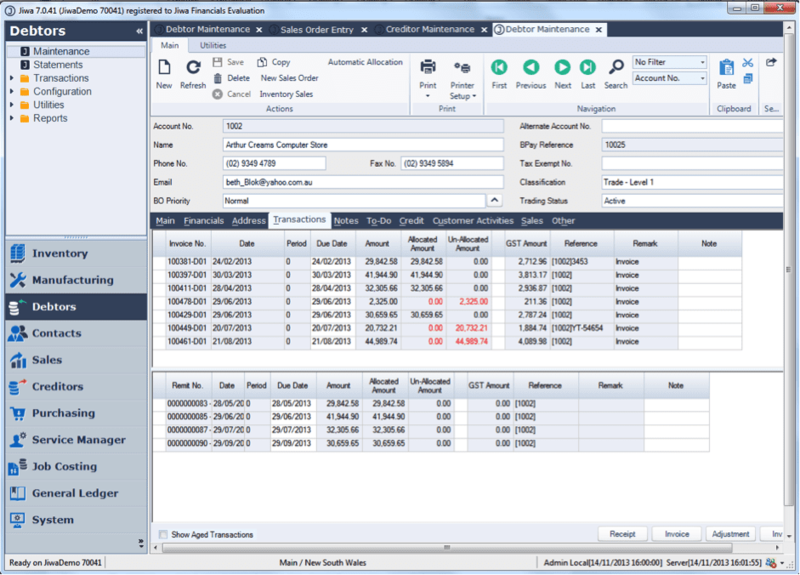 Schedule reminders or add notes in any section, from debtors to returns authorisation. When reminders pop up, see full details or drill down to source document.